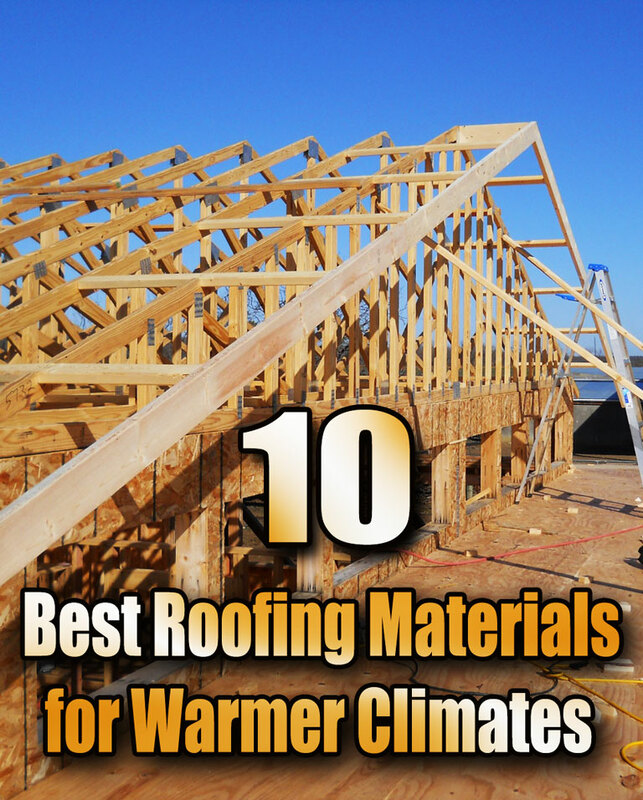 Roofing materials impact how buildings keep cool, especially in warm climates. When you consider how a building keeps cool, the most common thing that comes to mind is air conditioning. But the first real line of defense against the heat is a building’s roof. And a hot day in the life of a good roof should include releasing – not storing and absorbing – the sun’s rays. Think of it this way: If you’re sitting on a chair covered in black fabric and you go to the kitchen for a cup of coffee, your chair will likely be warm when you get up – and it will stay warm until you return. 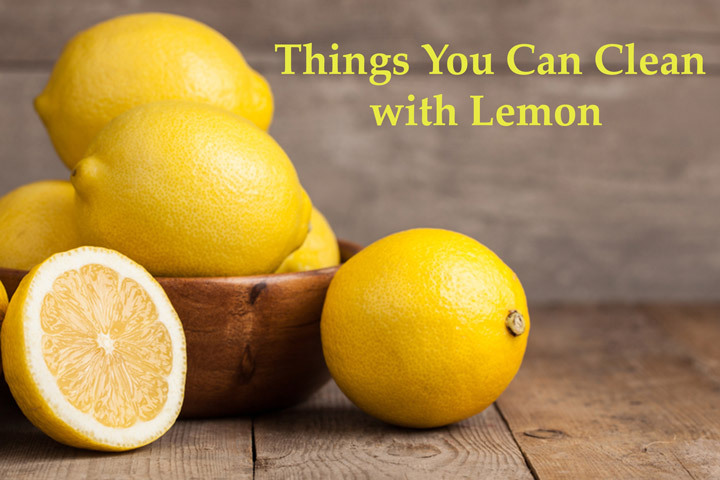 But if your chair is metal, clay, molded plastic or slate, for example, it might be slightly warm to the touch when you get up, but it will be entirely cooled by the time you return. Traditional shingle roofing materials hold and transfer heat in a similar way. 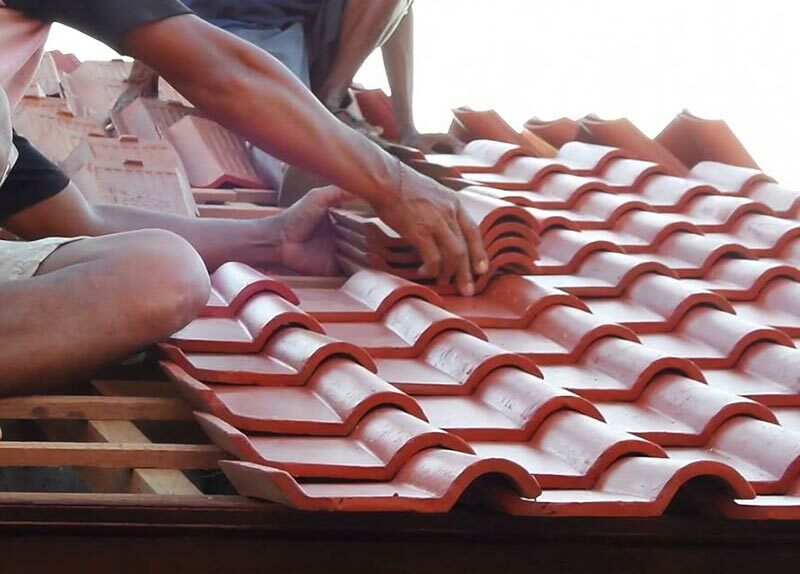 Roofing tiles made of felt-like materials overlaid with asphalt and tar will hold heat, and even transfer it downward into a structure, while other types of roofing will reflect light and heat upward and away from a building instead. Roofing materials and colors impact how buildings – and even entire cities – handle heating and cooling. United States Energy Secretary Stephen Chu even suggested that painting all roofs and roads white or light-colored could reduce the electricity costs of running air conditioning by 10 to 15 percent. Is it that simple? Before grabbing a ladder and a can of patio furniture paint and exterior primer, see what roofing materials and techniques – from the traditional to the high-tech – have proven to work well in warmer climates. Using an umbrella or a wide-brimmed straw hat on a hot day at the beach helps keep the sun at bay. Technology is bringing cover-ups to roofing as well. These cool-roof coatings have advanced in recent years, and more developments are underway. Elastomeric sealants, foam sprays, ceramic-based paints and even “recycled waste cooking oil” treatments are making gains in providing ways to cool existing roofs by applying coats of overlay that reflect heat away . Built Up Roofing (BUR) is one method for applying cool-roof surface coatings over traditional asphalt or tar roofing. Different claims regarding ease of application, durability and energy savings vary by manufacturer, but researching cool-roof overlays or coatings and consulting with a local roofing contractor and local building codes can help in sorting through what’s working well in different regions. A technology on the flipside of an overlay is a roof underpinning, or sub-roof system called a radiant barrier. This under-the-roof application involves installing a reflective material, such as aluminum, or even a specialized reflective spray treatment that’s installed into an attic or space between a home’s interior and the roof. These act as barriers to keep heat up and out of a home. Costs vary from about 15 to 75 cents per square foot, but those with added insulating features can cost more. But with a possible savings of about Rs14000 annually (depending on the region), the installation fees may be worth the price. Roofing with slate tiles is a centuries-old European tradition that made its way to the Americas in the early 17th century. Slate is durable and beautiful, with a natural color range, and it lasts a long time with little maintenance. Light colored and earth-toned slate help in reducing the heat absorbed by a building because it has natural reflective properties. It also wears to a nice finish over time. Some downsides to using slate are its upscale price and heavy weight. 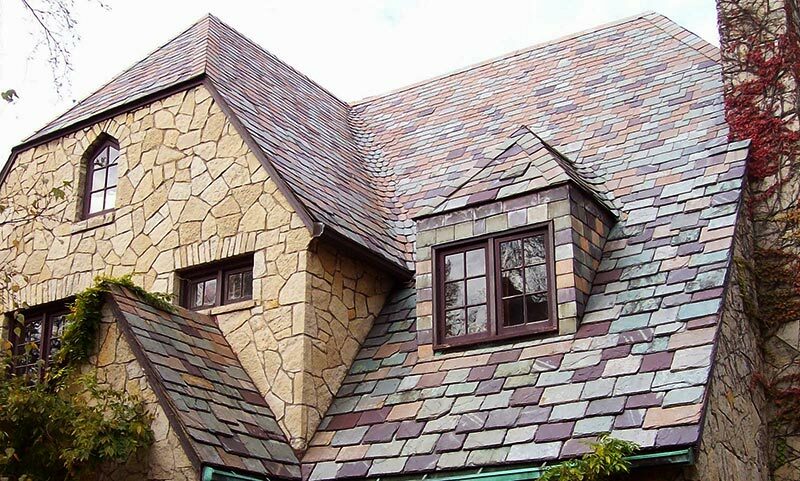 While slate is among the most beautiful roofing treatments, especially in re-creating Mediterranean and Spanish architecture styles, it is costly and harder to transport than lighter, less breakable materials. Its extensive use worldwide is due to its popularity as a cool roofing material for hot climates and its widespread availability. In areas without natural slate reserves, it is an expensive option. Reclaimed or salvage slate is available in some areas, but installation and transport costs still add up. Most regions of Kerala, Tamilnadu, Andhra Pradesh and the Indian northwest have tons of heat and sunshine, and an abundance of Mission- or terracotta roofs. Some ancient sites have clay and terracotta tiles that have survived the test of time and relentless centuries baking in the sun. Basic clay roofing is light in color and doesn’t retain as much heat as a darker roof. Modern clay tiles have paint treatments to make them look like more expensive slate or traditional terracotta and to add weatherproofing and reflective capabilities. Traditional rust or sienna-colored terracotta tiles keep buildings cool through their shape as much as their composition. Terra cotta tiles go through a baking process in ovens, or kilns, which makes them harder and less porous in terms of holding lots of heat. Most often they’re molded into a half-barrel or “S” shape, forming interlocking arches across a roof. Space beneath the arch of each tile allows for air and water circulation and runoff, which prevents heat capture and keeps the home below cooler. Many clay and terracotta roofs sit on top of concrete and stucco homes, and with good reason. These materials are heavy and need solid foundations for load bearing and wind and earthquake resistance. 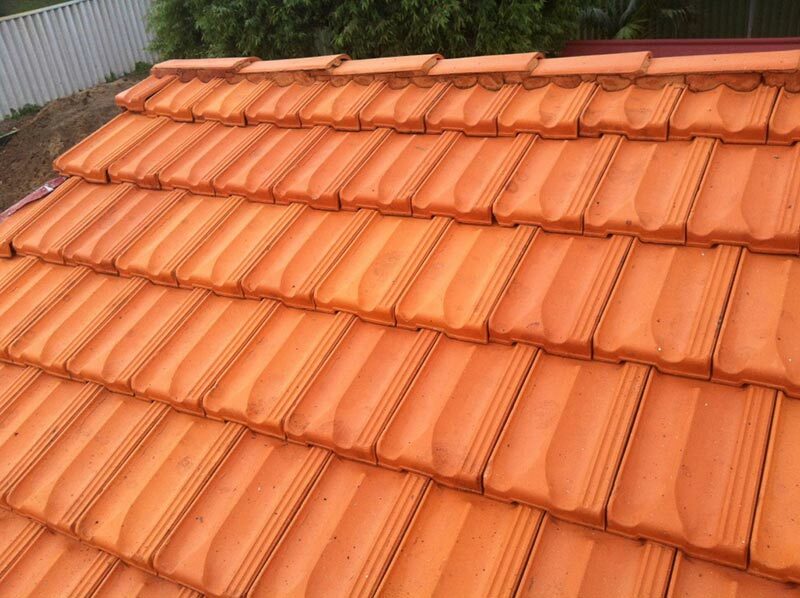 Another consideration with terracotta roofing is that cold and wet weather often make tiles snap. Newer processes and treatments prevent this from happening, but checking for durability and temperature resistance is a good idea. Less expensive than slate and clay in most cases, but more costly than traditional shingles, concrete tile is an option for warm weather durability. Concrete is heavy and takes a long time to heat, making it a good material for warm weather roofing. Using poured concrete slab roofing is a low-cost option in many developing countries, as it provides protection from bad weather and pests. It does the same in more developed countries, acting as a barrier layer underneath more cosmetic roof treatments. In its tile form, concrete is still heavy but is easier to install than the poured concrete. It is fireproof and solid, though porous enough to take in color when dyed. Using specialized “cool colors” will increase the energy efficiency of concrete tiling by reflecting more of the sun’s rays than a roof treatment in standard dark colors. Sand, water and cement make up concrete tiling, but the baking process toughens the material so it can withstand rain, heat and wind. Some concrete tile roofs in Europe and elsewhere have passed the 150-year-old mark and still cover and cool as originally designed. Installers of concrete tile should consult minimum code requirements for environmental conditions by region. In Orissa, for instance, securing tiles to meet hurricane-force wind resistance requirements involves some extra steps and precautions. “Batten down the hatches,” as they say. Concentrations of dark asphalt roofs, parking lots and roadways in dense areas, especially in large cities, create a negative environmental effect called a “heat island effect” or “urban heat island effect.” Heat soaks into these areas because of the dark materials that hold energy throughout the day and night. Painting rooftops and roads white is one step toward reducing the amount of electricity and time needed to cool these urban hot spots, but another idea is to green the spaces from the tops down. 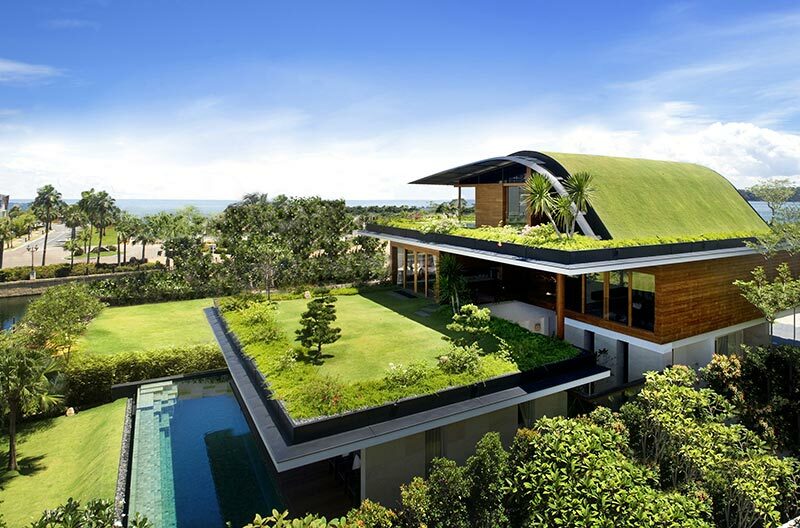 Green or living roofs incorporate a waterproof membrane filled with soil and vegetation intended to cool naturally through soil temperature and growth of greenery. 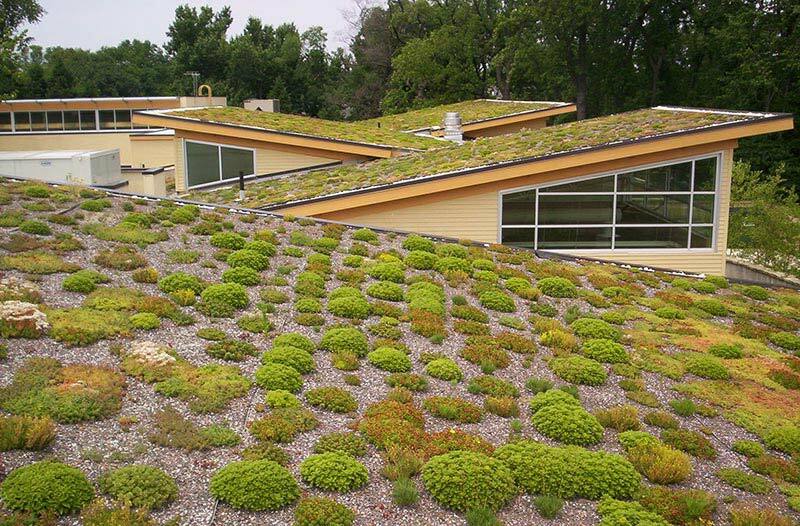 Roofs made of living plants also release oxygen into the air, making it less toxic and harmful than row upon row of petroleum-based shingles atop paved streets. Water runoff also serves to cool the buildings, and the entire system protects the base roofing underneath, adding to roof longevity. Reflecting heat back up into the air is one thing, but holding the heat for use as alternative energy is quite another. 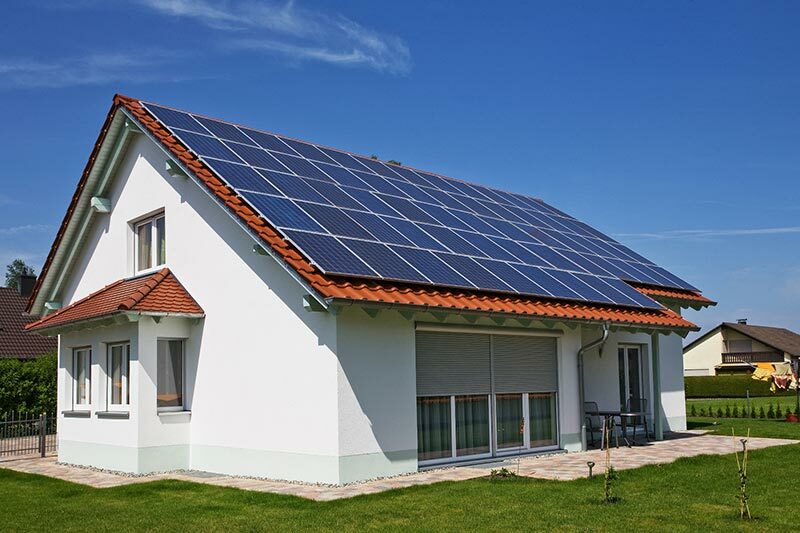 If you want to store up heat but not have it stored up in your home or office, a photovoltaic system is worth looking into. Photovoltaic or PV roof shingles capture and redirect solar power into electricity. Solar electric panels and shingles come in traditional shingle shapes and sizes, so adding this energy-efficient technology is not an aesthetic sacrifice as much as some of the older, bulkier rooftop panels of past decades. Cost and location, however, are big factors. Use of photovoltaic shingles and sheets will eventually lead to lower prices and increased performance, but usage isn’t widespread yet. Start-up investment in products and installation is high. Having a sufficiently sunny locale is more of a permanent issue, as peak savings and solar energy power capabilities depend on per capita sunny days. Time will tell whether cities like London and Seattle, for example, will use the solar harnessing technology as much as Phoenix or Athens, Greece. Wearing a rubber raincoat or hip waiters in hot weather sounds about as cool as a hot black rubber sheet baking in the sun all day. A rubber roof for warm climates? Really? While not technically a “rubber” roof, this single-ply, white, rubber-like membrane roofing is a cool technology. 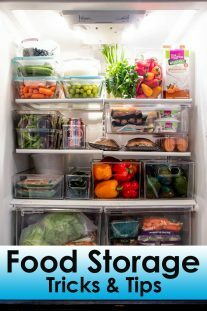 It’s made of strong, weather-resistant thermoplastic or a synthetic rubber called EPDM (ethylene propylene diene Monomer). EPDM is a common roof coating in commercial building praised for its long wear, and it’s a thermoset, a pre-molded or “set” rubber-like material. 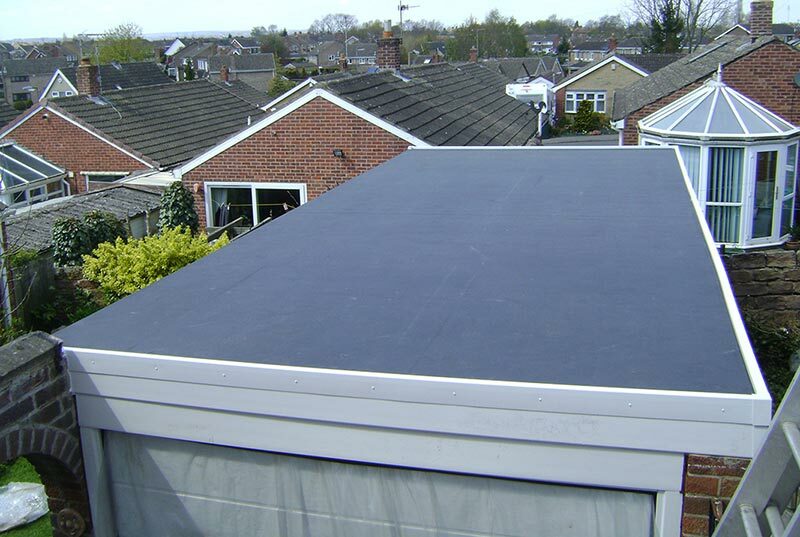 EPDM comes in rolls or sheets for covering large areas quickly. Thermoplastic coverings also are very weather-proof and wear-resistant with white-cool reflective coating options, but unlike thermoset, they’re more malleable and can be reset with heat for roofing a more sloped surface.Both types of membrane roofing are lightweight, very durable and reflective, keeping sun from absorbing into structures. 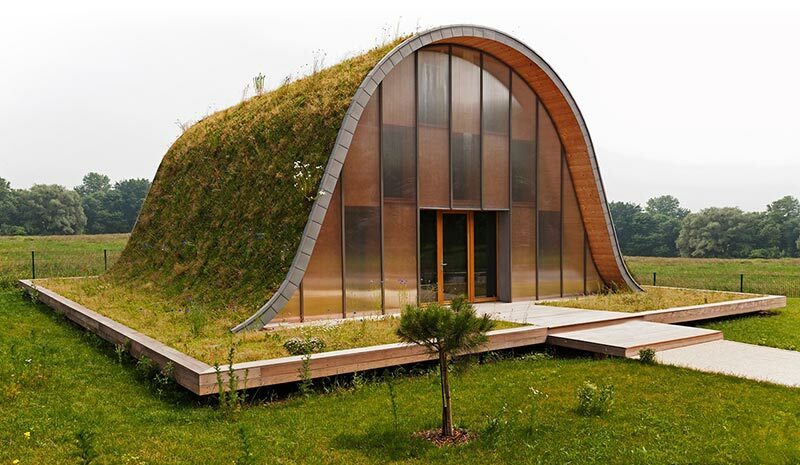 With an almost seamless application, they also serve as waterproof barriers to protect the surface underneath and are good foundation layers for green roofing. Roof testing by the Florida Power & Light Company in the hot, sunny and humid conditions of Florida shows that white s-shaped tiles made from concrete are very effective at keeping heat from the sun out of homes. They reflect about 74 percent of the sun’s energy away from the roof.White barrel “s” tiles resemble traditional terra cotta designs and require similar installation techniques, and they take advantage of the same raised arch design, which allows for air circulation. S-shaped concrete tiles in bright white reflect more solar rays than traditional terra cotta, though, by about 40 percent. Another roofing material well-suited to warm climates is flat concrete tiling, and as mentioned earlier, it’s available in cool colors. A close, but lighter-weight version is the bright white flat tile made of ceramic, elastomeric material or combinations of fibers and cement. 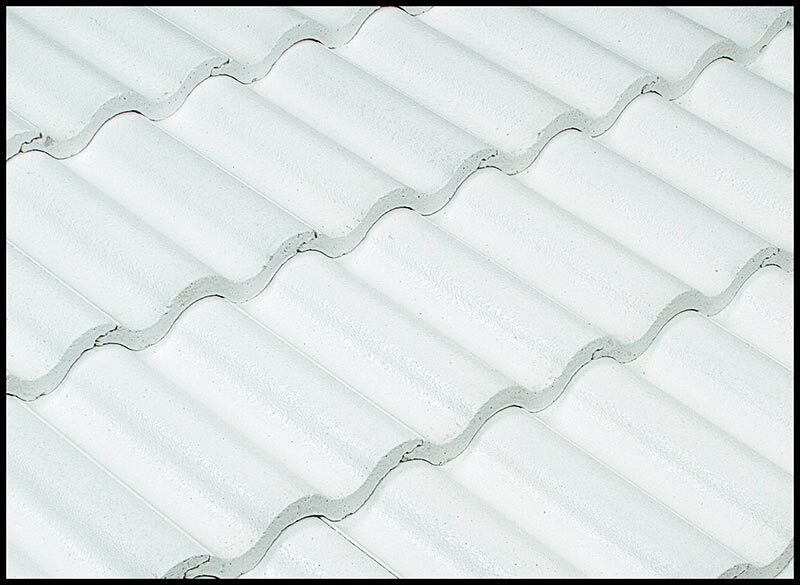 These white flat tiles rank high in testing as both very heat-reflective and long lasting. Flat white cement tiles reflect as much as 77 percent of the sun’s rays . 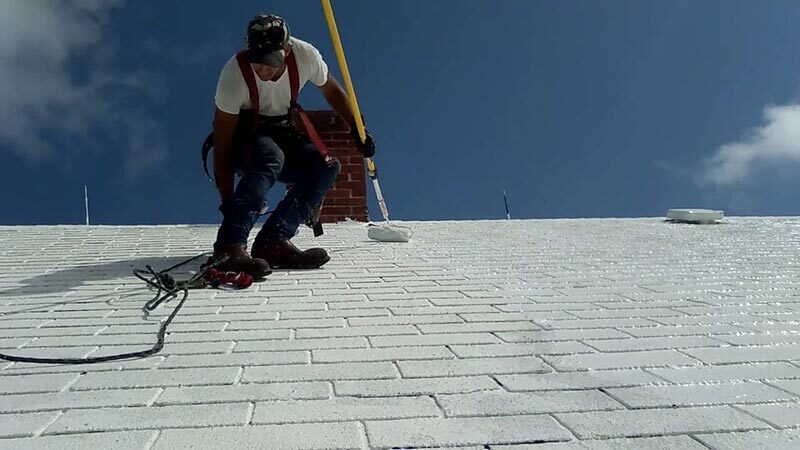 As with the white barrel type, white flat tiles keep heat from filtering down into buildings.Some upkeep comes with white roofing, as with most roof types, and power-washing helps to keep the surface from becoming dingy and losing its reflective edge over more traditional shingles. 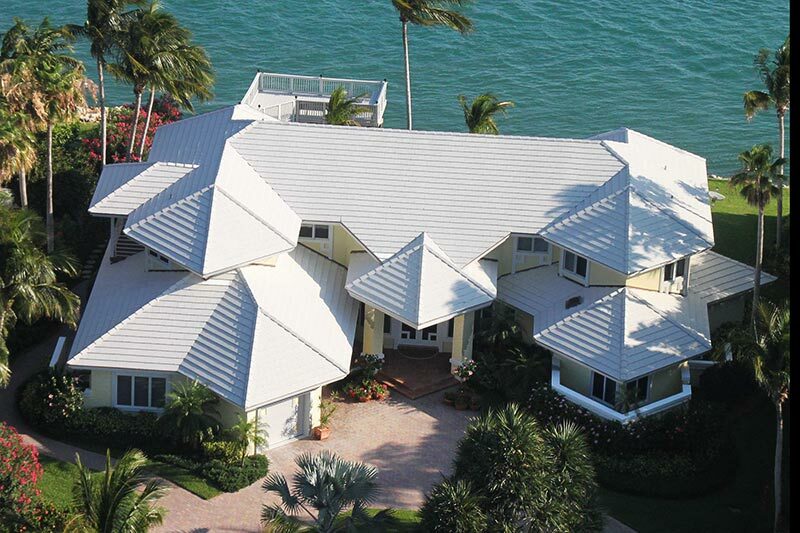 In terms of reflectivity, white metal roofing actually doesn’t perform as well as white flat and white barrel tiles. It reflects about 66 percent of the sun’s energy away from a roof. 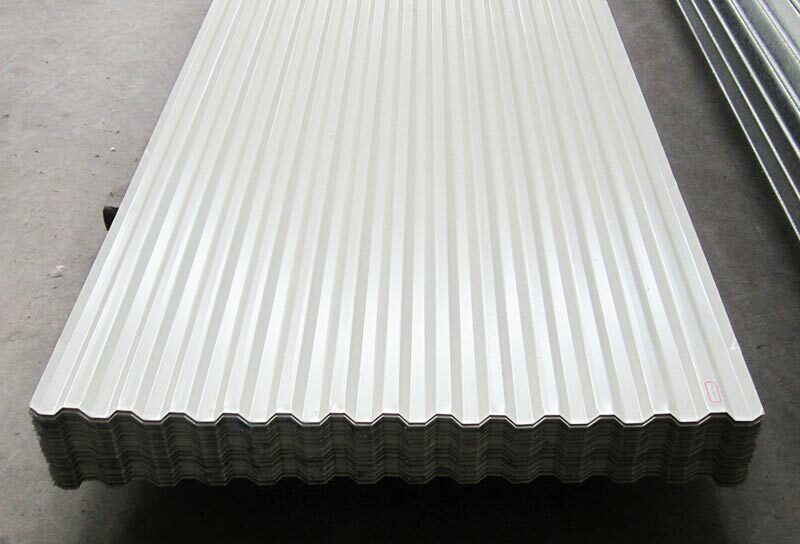 But white metal roofing does have one edge: Compared to other roofing types, it cools faster at night, and holds less heat for shorter periods .Most metal roofing will cost 20 to 30 percent more than traditional roofing, but in energy savings, durability and lowered maintenance, it is a cost saver overall . 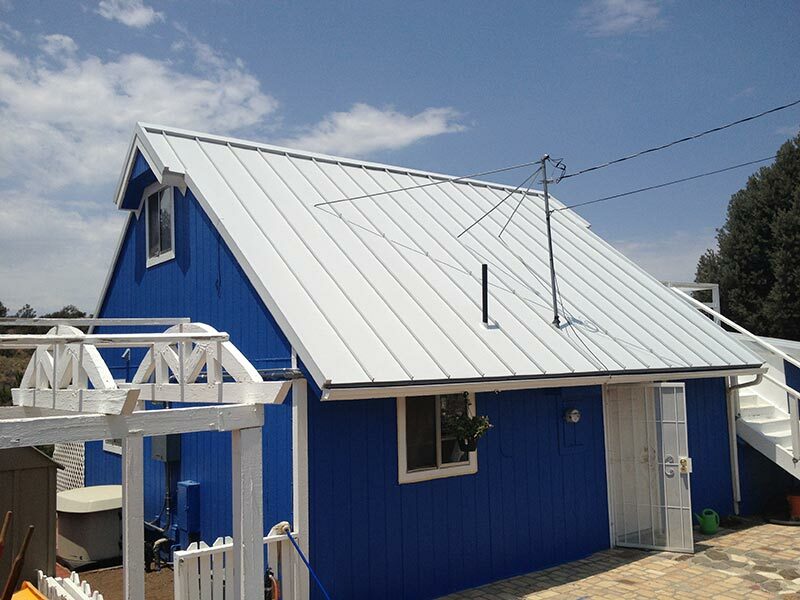 In order to maximize the benefits of metal roofing in warm climates, however, treatments and installation are major factors. 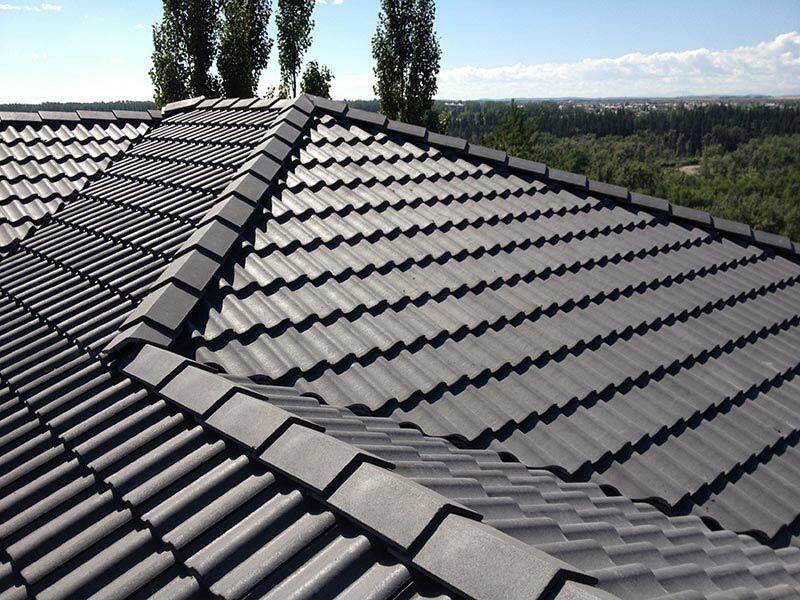 Most metal roofs are steel and aluminum, with copper options more on the high end, and most types should be treated for corrosion resistance. They also need to meet minimum code standards for wind resistance and placement. If installed at an angle without slope planning and glare considerations, no matter how cool the white metal roof is, it won’t be cool to nearby residents and drivers who get blinded by the reflected light. 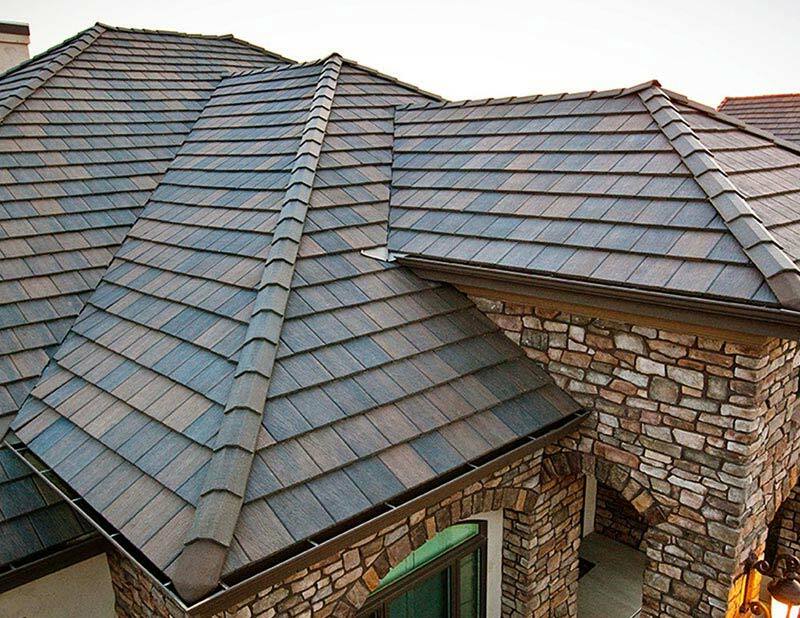 There are many different types of roofing materials that are available these days. 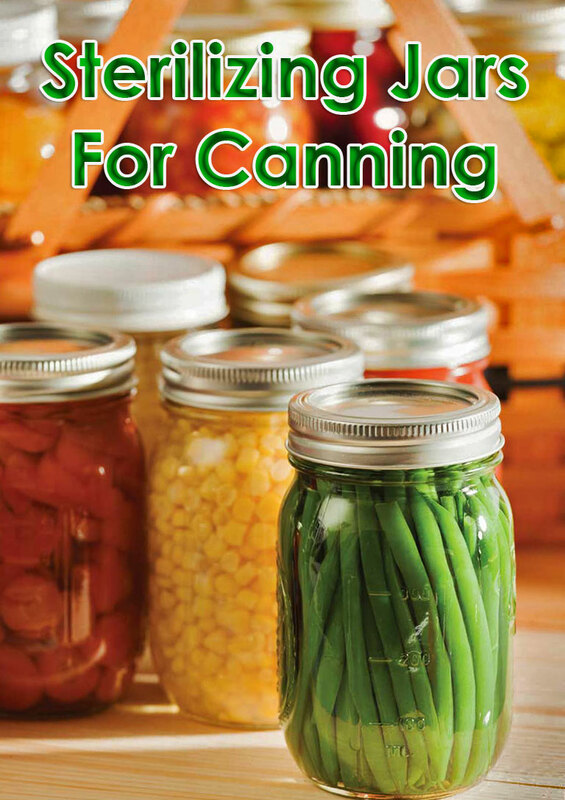 You have to consider their durability, insulation and various other factors to make an informed decision. Also it’s very important to know which materials are ideal for which climates. Thank you for sharing this helpful information!